Sunburn 2016 Ticket Bookings BMS: The most festive show of 2017 eve had started tickets booking online. 2016 Sunburn is coming once again and this time, the tickets made available a bit earlier than other seasons. Being bookmyshow.com the favorite destination for travelers to get their tickets online, the staff had promised to provide a bit earlier last season because of the end time rush. 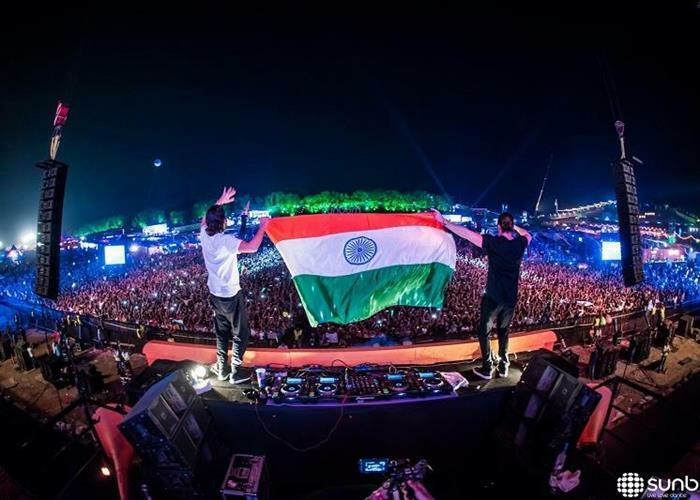 Not even six months had been passed for the Sunburn 2015, the early bird tickets booking start at bookmyshow.com. There are two types of passes available to get booked; the first is the pass for only festival entry, and the other includes camping too. Only entry of more than 15-year-old teens will be allowed in the session, and only 18-year-old plus will get the opportunity to consume alcohol. Food and beverages are not allowed in the Sunburn 2016 festival from outside. Taking a change, organizers had also abolished professional cameras during the festival to avoid revenue loss due to footage leak on electronic media. However, Digital Cameras and Mobile phones will be allowed. This package includes 2 Early Bird GA tickets to Sunburn Goa 2016 and a four night stay for two persons in a classic tent at Campout. This package includes 4 Early Bird GA tickets to Sunburn Goa 2016 and a four night stay for four persons in a club tent at Campout. This package includes 2 Early Bird VIP tickets to Sunburn Goa 2016 and a 4 night stay for 2 persons in a classic tent at Campout. This package includes 4 Early Bird VIP tickets to Sunburn Goa 2016 and a 4 night stay for 4 persons in a club tent at Campout. Important Note: One can easily get a night stay for around 1000 rs per night even during the peak season in Goa. Do not go for big plans if you don’t have a good budget. Plan your trip accordingly and choose only festival tickets for Sunburn 2016. You should choose any of the Phase 1 plans and get the accommodation arranged you. If you have plans for vacation during the years’ end. He/She should book the tickets as soon as possible because Phase 1 is the favorite destination of all the party people.